There are many courses available to study in the education sector in Australia, especially online. They do offer you the convenience of studying in your own time and the chance to upskill if you have other life commitments such as family arrangements or work or live in remote areas. But do those online courses really provide you with the knowledge and skills you need in order to excel and perform better at your job? One of the main drivers of learning is meeting new people, sharing ideas and discussing a specific topic. Getting more involved in such conversations or discussions will help you develop an understanding of how other people perceive information and their points of view. You will also start developing some sort of sense of teamwork which is very useful when you start your next job. An article published by the University of British Colombia about the importance of group discussions (Jill Pittendrigh 2012) mentioned that students get to know each other more, get involved more, and the communication that happens between peers can help to simplify and clarify content which helps students who are falling behind to catch up with the rest of the group. In addition, enrolling in a qualification like the Diploma of Early Childhood Education and Care, or Certificate III in Early Childhood Education and Care will develop your interpersonal skills that you’ll need to interact with parents or kids in childcare centres, you will have time to develop that skill with your peers and educators in college or university. Students are surrounded by people with similar mindsets and interests most of the time which makes it easy for them to collaborate and build their teamwork skills. Having a strong network can be helpful during difficult times when you are looking for a job or seeking consultation in the industry. Simulating your learning experience can be beneficial in acquiring the knowledge you need and in having a comprehensive understanding of how things work in a much broader way. It exposes students to different scenarios that might occur in the workplace, and it can prepare you to deal with similar incidents that might happen in a real workplace. As an early childhood education and care student you will attend simulation classes that reflect a real-life childcare center, learn how to set up the facility that is safe and cares for the wellbeing of children, familiarise yourself with the equipment and tools you will use, and prepare learning sessions and activities for kids to help in developing their thinking, social, behavioral and communication skills. An experienced educator is important to help guide students to follow the best practices in the industry, encourage group discussions around a specific topic, and assist students when they are unsure about a particular topic. It can be said that an educator can be a valuable mentor for students. This sort of connection is difficult to establish when taking an online course, as your main connection is with the screen. Online education does provide you with the flexibility of learning that you may need but it also has some limitations when it comes to interacting directly with your peers or with your educators. 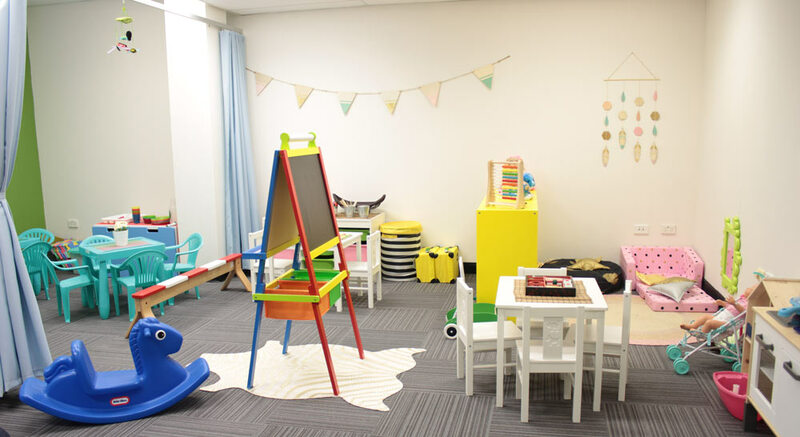 Finally, a practical placement helps early childhood education students fill in the learning gaps, and gives students a realistic perspective of how childcare centres work, the learning facilities and tools, teaching methods and type of activities used in the learning process. A college with a strong industry connection can provide students with access to learning and early childhood education facilities or centres where can practice their knowledge and skills. This could even help students find employment opportunities if they prove their commitment to the organisation. What Is Text Neck Syndrome?